IT'S TIME FOR A COLONOSCOPY. You may have Gastroesophageal Reflux Disease (GERD). Patient portal access is now available through MyChart. 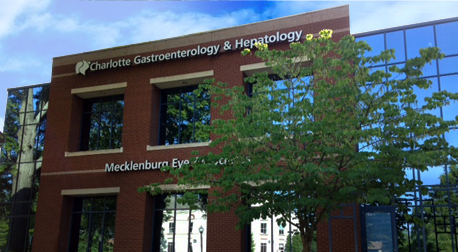 Why Charlotte Gastroenterology & Hepatology? Our reputation for providing the highest quality, most compassionate care is unsurpassed in the region. That’s because we focus on each patient’s unique needs and concerns, and work hard for our patients. 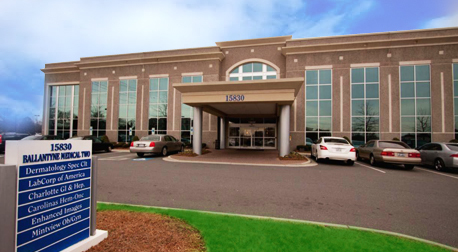 Our newest office is located in the Novant Health Mint Hill Medical Center, conveniently located off I-485. 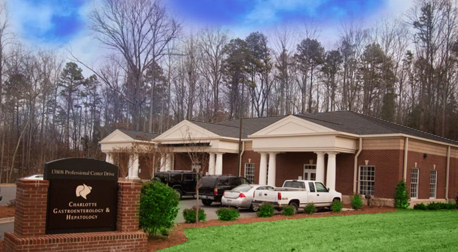 CGH Huntersville is located less than a mile from Novant Health Huntersville Medical Center in The Park. We’re conveniently located for patients working and living in north Charlotte, Concord, Denver, and the lower Lake Norman area. 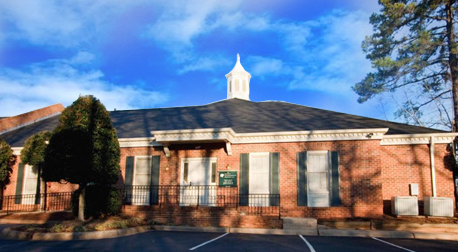 Our Matthews office is located in the Matthews Township Office Park, beside Novant Matthews Medical Center, providing a convenient location for those living in area. 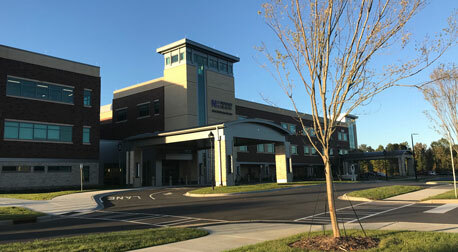 As of March 2017, both the Mooresville medical office and endoscopy center are located behind the previous building in Fairview Center, which is adjacent to Lake Norman Regional Medical Center and the Lowes Corporate Campus. The Randolph Road office and endoscopy center offer a convenient location for those living and working in Charlotte’s beautiful center-city. ECLN was established as a joint venture between CGH and Novant to better serve the Lake-area community. 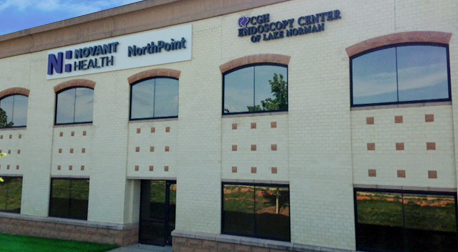 Our office can be found on the second floor of the Presbyterian Northpoint building. I was diagnosed with colon cancer at age 39 when I was 5 months pregnant. Since my surgery I have been a patient of Charlotte Gastro and have had many colonoscopies at their outpatient clinics. Each and every experience has been top notch. I highly recommend Charlotte Gastro. With colon cancer running in my family, I elected to get my first colonoscopy at 42. Charlotte Gastro made the process simple and smooth. I was pleased with the service, professionalism, and quality care I received and hope others will not procrastinate this important step to safe-guarding their health. The colonoscopy is a must. Charlotte Gastroenterology & Hepatology performed mine. They made it really easy and simple without multiple doctors’ appointments. I urge you to make the commitment to get screened and when you do, go to the place I went, Charlotte Gastro. Information collected here will solely be used for internal purposes. Although your name is preferred, anonymous submissions are accepted. Your email address will not show on the website. It will only be used if we need to contact you with questions concerning your experience. Physicians and staff had a blast celebrating Halloween. Check out all of these costumes! We would like to welcome Monica Manzi, PA-C to the Charlotte Gastro provider team. Monica will be seeing patients in the CGH Matthews office. Visit her PROFILE to learn more about Monica! Get Your Rear in Gear 2018- join us! All Charlotte Gastro medical offices and endoscopy centers will be operating during normal business hours on Friday, January 19th. Charlotte Gastro is excited to welcome Dr. Michael D. Kelso Jr. to the physician team. He will be seeing patients in the Matthews office beginning August 14th. To learn more about Dr. Kelso, visit his provider page by clicking HERE. The new CGH- Mooresville building is coming along on schedule. December will be here before we know it! Visit our previous post for more information. 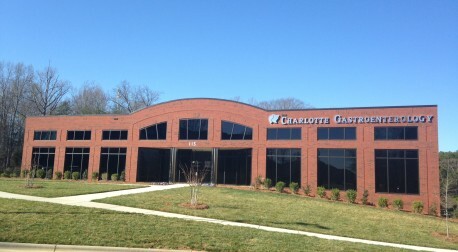 We are pleased to welcome two new physicians to the Charlotte Gastro medical team! Dr. Rebecca Rawl is accepting new patients at the Randolph Road office and Dr. Vinaya Maddukuri is seeing new patients at the Lake offices. To learn more, please visit our Providers page. The U.S. Food & Drug Administration has finalized plans for improved nutrition labels on packaged foods. What are some of the changes? Serving sizes are more realistic, the calorie count is bolder, and hidden sugar is easier to find. Watch this quick “Mayo Clinic Minute” video for more information. Charlotte Gastroenterology & Hepatology medical offices and endoscopy centers will be operating during normal office hours on Monday, February 15. Winter weather update: Charlotte Gastro medical offices and endoscopy centers will be operating on a normal schedule on Monday, January 25th. Charlotte Gastro welcomes Atul Khanna, MD to our outstanding medical team. Please visit his bio under the “Providers” tab for more information about Dr. Khanna. He is accepting patients at the Randolph Road office. Each year the physicians and staff of Charlotte Gastroenterology & Hepatology sponsor and support CCFA’s Take Step’s Walk. Join us on Saturday, May 30th for an afternoon of fun for the whole family. To register to walk with our team or to donate, please click HERE. Easter Holiday Schedule: Friday, April 2- Medical offices will be closed, endoscopy centers will be open. Monday, April 6- Medical offices will be open, endoscopy centers will be closed. Due to inclement weather, CGH medical offices and endoscopy centers will be opening at 12:00 pm on Thursday, February 26. Keep checking back for updates. Medical offices will be closed on Tuesday, February 17. Endoscopy centers are open. Inclement weather update: CGH medical offices will be opening at 12:00 pm. Endoscopy centers will open at 9:00 am. Due to inclement weather, Charlotte Gastro offices will be operating on a delay Tuesday, February 17, 2015. Medical offices will be opening at 10:00 am. Endoscopy centers will open at 9:00 am. Dinner & a Movie for $5.00?!? Want more info on fatty liver disease and liver transplants? The Mayo Clinic will be hosting a webinar on Tuesday, January 20, 2015 at 12:00 pm. Click HERE to sign up. Colon Cancer Alliance’s Get Blued! Photo Contest – Vote for CGH! Tune in to 107.9 The Link to hear Matt Harris of The Matt & Ramona Show talk about his colonoscopy experience at Charlotte Gastroenterology & Hepatology. If you’re over the age of 50, schedule your appointment with us today! Celebrate the holiday’s with 89.9fm WDAV and CGH!